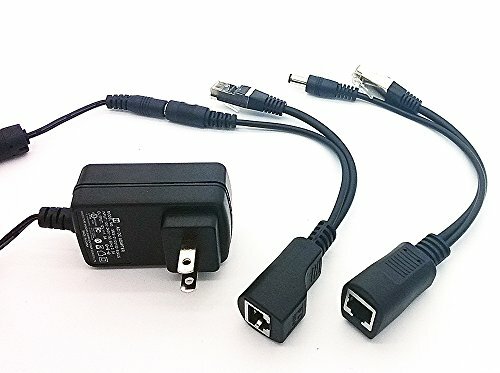 These devices inject the power on the spare data wires in the ethernet cable. The splitter at the camera split the power and data to operate the device. 1 x PoE splitter cable;"
Includes 12V 12watt power adapter (UL listed) power for the injector.